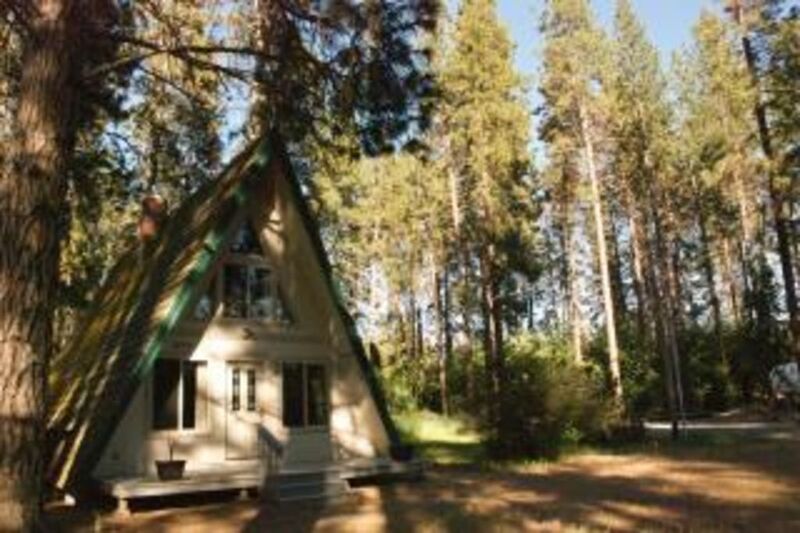 Within close driving distance of Crater Lake National Park, as well as within walking distance of a private park on Agency Lake, the Chalet is the perfect summer getaway. The two-story chalet has three bedrooms fitted with one king sized bed, a queen-sized futon, and two single beds. The house has two bathrooms, a living/dining room, a full kitchen, a balcony, and a front porch. Loved our stay! The pictures don’t do the little cabin justice. It’s like a summer sleepaway camp for the whole fam! Such a cool little-big house! This was exactly what my family was looking for to round out our crater lake weekend. We were impressed with how well-stocked and clean the place was (except for one critical item, a cutting board). Comfy amount of space for a family of four, and room for more! Though I would say that adults could certainly feel their weight on the twin beds. All in all, great stay. Beautiful (& and kinda quirky) lake. Nice VHS collection. Angels in the Outfield will never lose its splendor. Thank you! Cozy cabin which was perfect for an overnight stay on our way to Crater Lake. We stayed at the cabin for 3 nights while hiking at Crater Lake National Park. The cabin had everything we needed and was in a convenient location to get to the park each day. The bed was comfortable and kitchen was well stocked with essentials to cook meals. It was quite refreshing to have a reason to “unplug” as there was no WiFi at the cabin. We would highly recommend for any nature enthusiasts! The pictures are accurate. It is clean, cozy & charming. Well stocked. If you are looking for a raucous time, not for you. If you want to enjoy lovely scenery, water fowl, & quiet, you will love it. Can't swim in the lake & need bug spray! No wifi, or satellite TV. We loved sitting outside, grilling, & enjoying our visit. Close to Crater Lake. Loved the house, but especially the outside! Beautiful sunsets down by the lake. Wonderful Master bedroom with a view. So pleasant in July, cool and lovely weather. Easy drive up to Crater Lake. Buy groceries and cook in is my recommendation. For nights on summer weekends a two night minimum stay is required.